Concert Pianist, Composer and Social Influencer Luka Okros has established himself as one of the most promising pianists of his generation. Okros’s performances have been praised by critics as “intense, strong and natural, with an impressive creativity”. Luka has already performed in some of the world’s greatest concert halls – from London’s Wigmore Hall to New Yorks Carnegie Hall. Luka currently resides in London with an Exceptional Talent Visa. In addition to his career as a concert pianist, Luka works on creating his own compositions. One of the pieces was filmed and premiered by Het Concertgebouw’s Sessions. 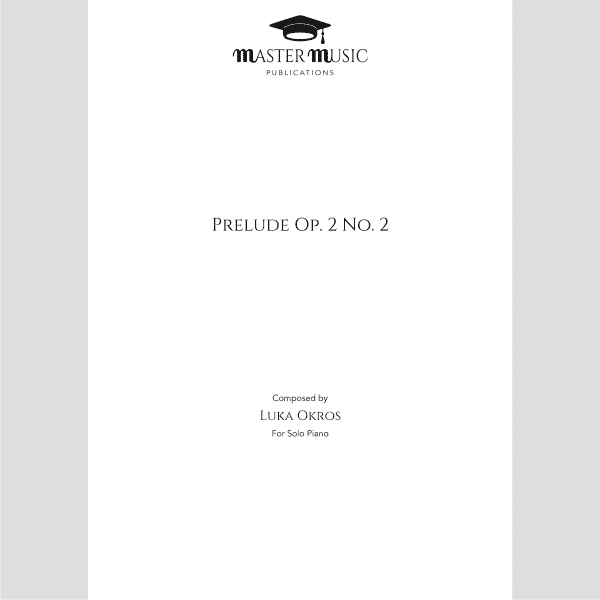 The second of Luka’s Preludes, this work for Solo Piano was composed in 2015.